With Niki Lauda in hospital after his horrific crash at the Nürburgring - although out of danger - the season had been turned on its head. James Hunt was now the favourite to win the title as his win in Germany had cut Lauda's lead to 14 points - in reality that was 27 points as his win at Silverstone was later overturned - with six races remaining. 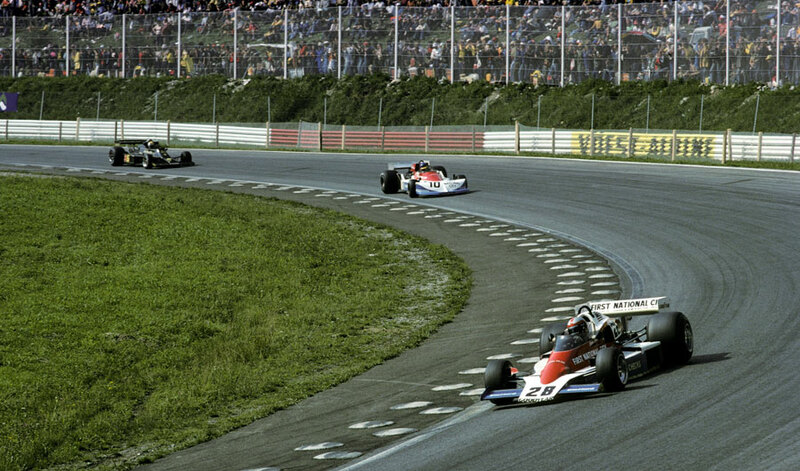 But Hunt failed to seize his opportunity fully, with John Watson winning the Austrian Grand Prix, the first win for him and also the fledgling Penske team. Ferrari had withdrawn from the championship in the aftermath of its appeal against Hunt's victory at Silverstone being reversed, although the official reason was it had acted because of Lauda's accident. Even though that opened up the field, attendances at the Österreichring were down without the attraction of the No. 1 team and the championship leader. Two local drivers - Otto Stuppacher and Karl Oppitzhauser - turned up and applied to enter the race but organisers refused, citing their lack of experience. Undeterred, they approached several other teams for support but none was forthcoming. Although Hunt, still in his old Mclaren M23, secured pole, he had a tough day as the race itself was a superb advertisement for the sport. Despite drizzle before the start, the cars started on slicks, but a heavy shower on the first lap caused officials to prepare to red-flag the race, only for the rain to immediately give way to sunshine. Six cars tussled for the lead from the off, and it was Watson, on the front row with Hunt, who took an early lead before being passed by Ronnie Peterson. Jody Scheckter, from a lowly tenth place, charged into the lead on the tenth lap but was soon in turn replaced by Watson. Scheckter pressed him hard until his Tyrrell crashed because of suspension failure, and that allowed Watson to slowly draw clear from the pack, winning by almost 11 seconds from Jacques Laffite with Gunnar Nilsson a second behind in third. Hunt, plagued by understeer, was only half a second behind the Swede. A delighted Watson was aware that he got his chance with Penske because his predecessor, Mark Donohue, had died following an accident at the same circuit a year earlier. However, he told reporters he had bet team owner Roger Penske he would shave his beard if he won - and he did - but that as a trade-off, Penske had agreed to grow one. The result brought Hunt to within 11 points of Lauda, with Scheckter a further 13 points back in third. Ferrari's absence had also allowed McLaren to close to within nine points of it in the constructors' championship. Pundits were predicting a double for Hunt and McLaren, but the season had plenty more twists left in it.